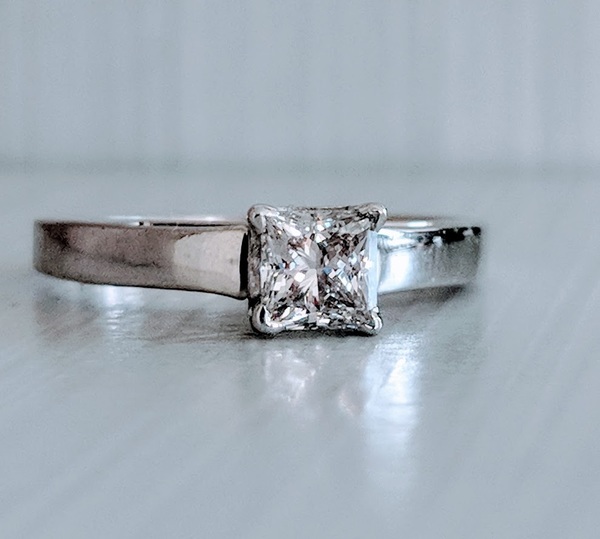 This stunning ring has a half carat princess cut diamond (lab grown REAL diamond, comes with IGI diamond grading certificate) in the center. Setting is solid 14k white gold. Currently a size 7 and sizable to whatever you need.